Supported by a local Friends chapter known as the "Vogel Volunteers," Vogel is one of Georgia’s oldest and most beloved state parks and is located at the base of Blood Mountain in the Chattahoochee National Forest. Driving from the south, visitors pass through Neel Gap, a beautiful mountain pass near Brasstown Bald, the highest point in Georgia. Vogel is particularly popular during the fall when the Blue Ridge Mountains transform into a rolling blanket of red, yellow and gold leaves. 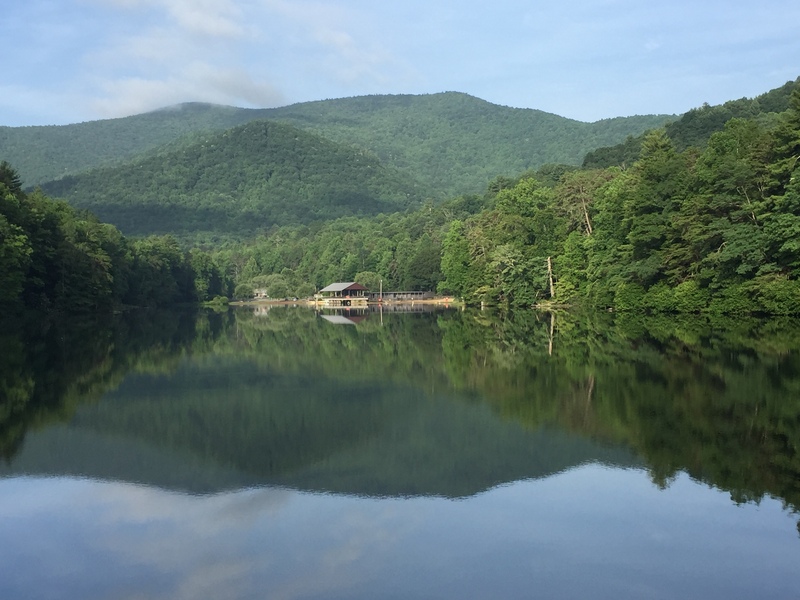 Hikers can choose from a variety of trails, including the popular 4-mile Bear Hair Gap loop, an easy lake loop that leads to Trahlyta Falls, and the challenging 13-mile Coosa Backcountry Trail. Cottages, campsites and primitive backpacking sites provide a range of overnight accommodations. The park’s 22-acre lake is open to non-motorized boats, and during summer, visitors can cool off at the mountain-view beach. This park is rich in history, with many facilities being constructed by the Civilian Conservation Corp during our nation’s Great Depression. The “CCC Boys” story is told in the park’s museum. Spring is almost here and that means that it is almost time for our Annual Volunteer Work Day at Vogel State Park. Mark your calendars for April 27th, 2019 for a fun day of work projects and camaraderie as we spend the day cleaning & beautifying the park. We have many exciting projects planned for this special day. For a full listing of events and information about Vogel State Park Historic Park visit the Georgia State Parks page.